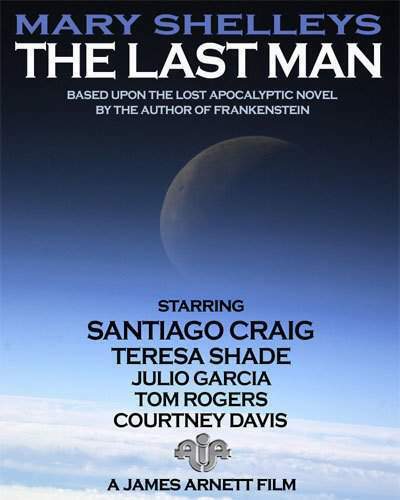 The first contemporary adaptation of Mary Shelley's 1826 novel about a twenty-first century pandemic. Black marketers loot an abandoned Soviet bio-weapons lab in Siberia, releasing a weaponized strain of Small Pox which quickly turns into a global pandemic. The remaining 2%, who survive the 98% mortality rate suffer varying degrees of blindness, physical deformation, sterility and madness. Without any food source coming into the cities, what food stocks have not already been looted have been horded. With starvation threatening the plague survivors, they turn to cannibalism, preying upon each other. The unscarred Lionel Verney, by default, becomes the strongest man standing, competing for his existence against entire clans of diseased survivors among the ruins of what once was the 21st century.